No matter what type of business you own, keeping it secure is important to your overall success. You work hard to make your business succeed; it’s your livelihood. So, it’s crucial to protect it against internal and external crime, fire, and environmental hazards. The reality is, running a business requires you to take a number of risks. However, security should not be one of them. So, whether you have dozens of employees, or only a few, staying connected and in control of your business is how you grow. A security system for your business provides better peace of mind, lower insurance rates, and a safer working environment for you and your employees. Dealing with everyday inconveniences is just a part of doing business. However, your security system does not have to be one of them. As a business owner, you face multiple risks on a daily basis and as a result, you must have a multi-layered security solution in place to protect your business. Physical security consists of physical, logical, and design measures a business owner must take to protect people, physical property, and other assets from harm, unauthorized access, usage, tampering, and theft. The physical security measures for a business will vary greatly depending on business type and the needs of a business owner. As a business owner, you have enough to worry about, and having to worry about the technology of your business operations will only distract you from your goals. With today’s modern business security systems, you can help your business become smarter, more secure, and efficient. Ensuring the protection of your business is one investment that always pays off. Old business security systems are great at responding to burglaries. But, unfortunately, that is all they can do. A smart business security system is always active with sensors and intelligence that is working for you all the time. It alerts you about important activity, or if you have forgotten to arm the alarm. It can even arm itself and lock the business at closing time. Smart business security systems give you the peace of mind knowing that your business is protected and running smoothly. They allow you to stay secure, connected, and aware. And can even help you keep an eye on inventory and equipment with video surveillance. So, whether you need to manage access to your business, save money and reduce energy costs, or gain insight on the day-to-day activity at your business, a smart business security system will give you the peace of mind knowing that your business is protected and running smoothly. Protect your business with security that goes the extra mile to keep you aware and in control from anywhere. Alarm.com is a commercial grade security solution geared to the needs of small and medium businesses. 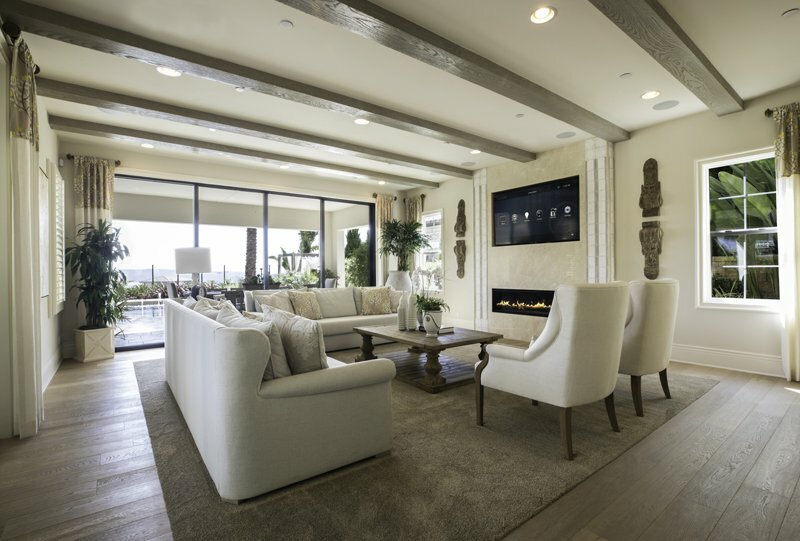 Professionally installed, monitored, and supported, it offers smart security, video surveillance, access control, and smart thermostats in a single solution that you can operate with your phone. Get visibility into activity trends to make smarter decisions around staffing, promotions, energy use and more. Easy to understand reports let you quickly see activity patterns across your business and spot unexpected changes. Business insights provide critical information about your organization, across multiple locations, through daily, weekly and monthly reports. The smartest technology for your business, get awareness like never before with solutions tailored to support a wide range of small and medium sized businesses, from single properties to multi-location enterprises. Keep an eye on all of the important activity at your business. With single and multi-site viewing, live-streaming, recorded video and real-time notifications, it’s easy to see what’s happening when you can’t be there and more easily manage false alarms. Unlike traditional CCTV/DVR video surveillance systems, Alarm.com powered solutions provide reliable, off-site storage that cannot be disabled by employees or damaged if your business experiences a fire or flood event. Easily find the events that you want to see in your video timeline. 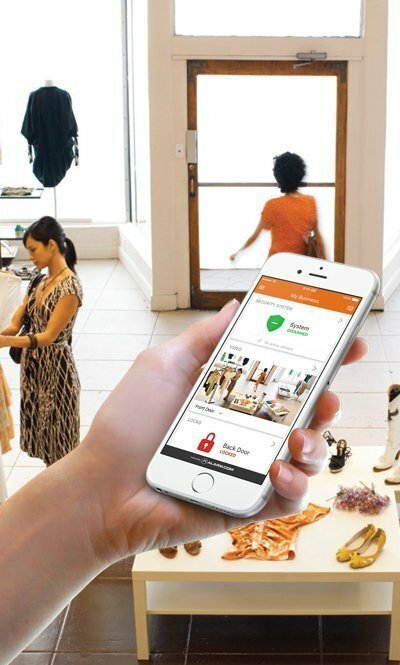 From storefronts to entire office buildings, secure your business against unauthorized access with Smarter Access Control. 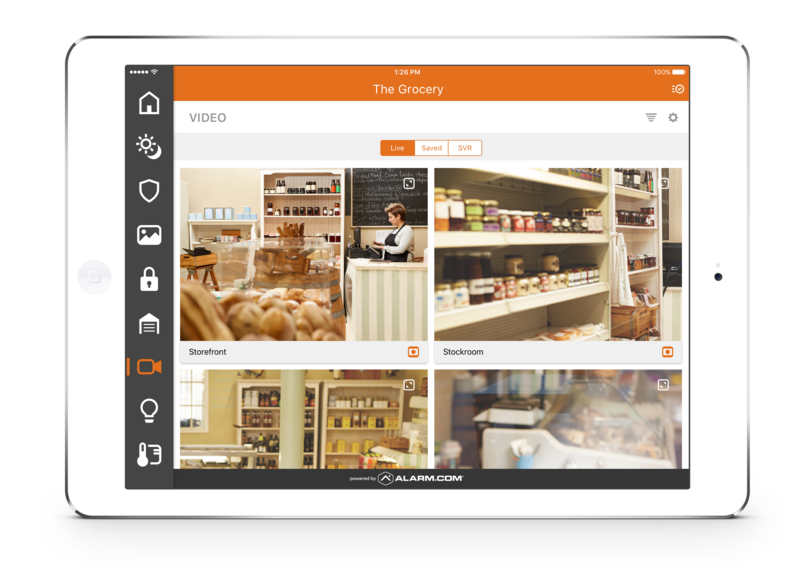 Easily track and manage access to your properties through a user-friendly website and app. 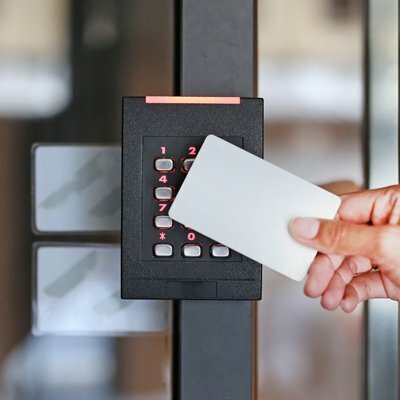 Integrated locks, controllers and card readers help you understand who’s in and around your business at any time. Whether you have a small team or hundreds of employees, you can easily manage multiple access plans, remotely lock or unlock doors and monitor activity at your business. 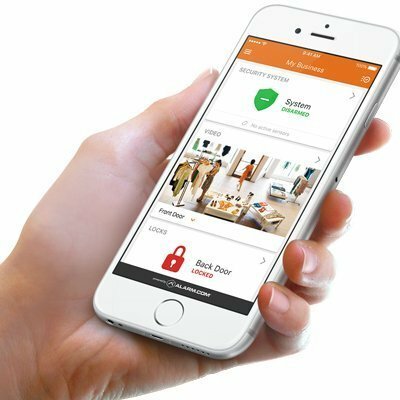 Alarm.com integrates with leading hardware providers making it easy to get Smarter Access Control without replacing existing locks and card readers or installing expensive new on-site hardware. Don’t waste money heating or cooling your business when no one is there. 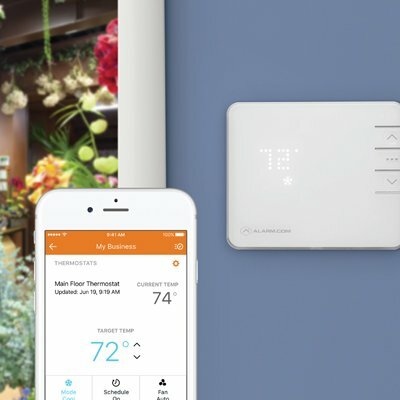 A smart thermostat helps you save automatically, even if someone forgets to turn off the AC or heating when they are closing up for the day. Control your smart thermostats automatically, and on-the-go. Keep your business at an appropriate temperature and prevent employees from making costly changes. Use thermostat schedules to automatically save money during closed hours, while ensuring that it’s comfortable by the time your team arrives again in the morning. Get notified when the thermostat setting is changed or the refrigerator door is left open. Easily set up lighting schedules to keep your business safe and well lit, reducing liability risk. 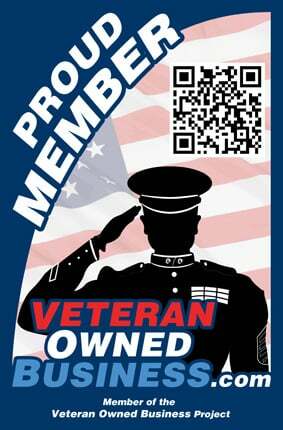 Everyone deserves to have peace of mind in their own home as well as their business. We ensure your protection by providing security solutions that you can be confident in. That’s why we use Alarm.com for home and business security. 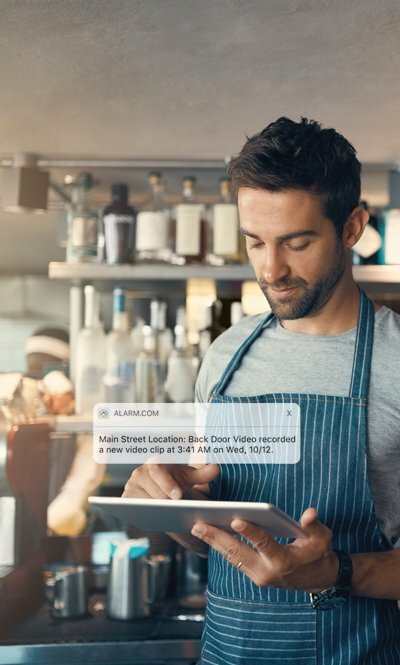 Alarm.com creates innovative technology that deepens the connection between people and the things they care about most – their families, homes, and businesses. For better security, intelligent automation, and dependable service, Shultz Audio Video provides smarter security systems powered by Alarm.com. Protect what matters most, contact us today at (760) 505-7461 to book your free business security system analysis.